You are here: Body Imaging/Quinn A. DeMordaunt, M.D. Graduated from George Washington University School of Medicine, Washington D.C., in 1994. He completed the Diagnostic Radiology residency program at the Mayo Clinic in Rochester, MN. 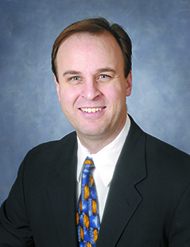 Dr. DeMordaunt fellowship trained in body CT, MRI and ultrasound imaging at the Mayo Clinic, after which he joined Boise Radiology Group in October, 2001. Time with his family is what he enjoys most.